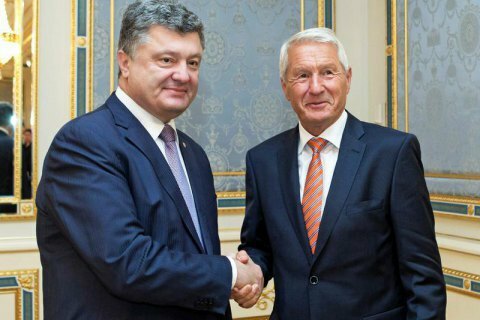 President and Jagland discuss violation of the rights of Crimean Tatars by the Russian Federation. President Petro Poroshenko in the framework of his working visit to Turkey at the UN summit met with the Secretary-General of the Council of Europe, Thorbjorn Jagland, the official presidential website reported. Poroshenko drew Jagland's attention to the systematic violations of the rights of the Crimean Tatars and Ukrainians in the Russia-occupied Crimea, in particular the arrest of Deputy Chairman of the Mejlis Ilmi Umerov. In this regard, the president called on the Council of Europe to increase pressure on the Russian Federation. The parties also discussed the progress of Ukrainian reforms. Jagland hailed the election of a new prosecutor general of Ukraine and the efforts of President Poroshenko to reform the country's judiciary in line with European standards. The UN Humanitarian World Summit opened on 23 May in Istanbul. It was convened on the initiative of the UN Secretary-General Ban Ki-moon. The leaders of about 60 countries attend the event. Roughly the same number of countries are represented at the ministerial level. Ukraine is represented by President Petro Poroshenko, the representative of the president on the Crimean Tatar affairs Mustafa Dzhemilev, and Head of the Mejlis Refat Chubarov. Poroshenko has met with Slovak President Andrey Kiska.